Oozora Reiji isn't a lazy boy, he's just terribly unmotivated; all the clubs and activities he's joined don't interest him for long. 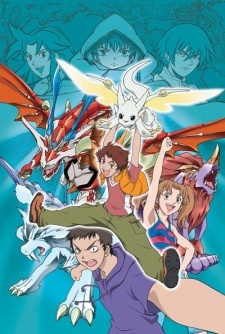 That is, of course, until his best friend Yukino takes him to a underground arcade where an unbelievable virtual reality game is played - Dragon Drive - in which players fight each other with virtual dragons. Reiji ends up throwing all he's got into training a dragon so rare that the Dragon Drive staff are baffled. But soon Reiji learns that Dragon Drive isn't all it seems, and he might be the only one who can save an entire world from evil.